In recent years, the key role of the CFO in most companies has shifted considerably. CFOs are now more focused on forward-thinking strategy rather than the tactical and transactional work that used to define the position. But despite access to new financial technology that enabled this shift in the first place, CFOs still can't expect to succeed without a solid finance and accounting team to support them. Unfortunately, finding those F&A professionals with the proper skills and qualifications remains a challenge. A lack of F&A talent can be a hindrance to organizations. 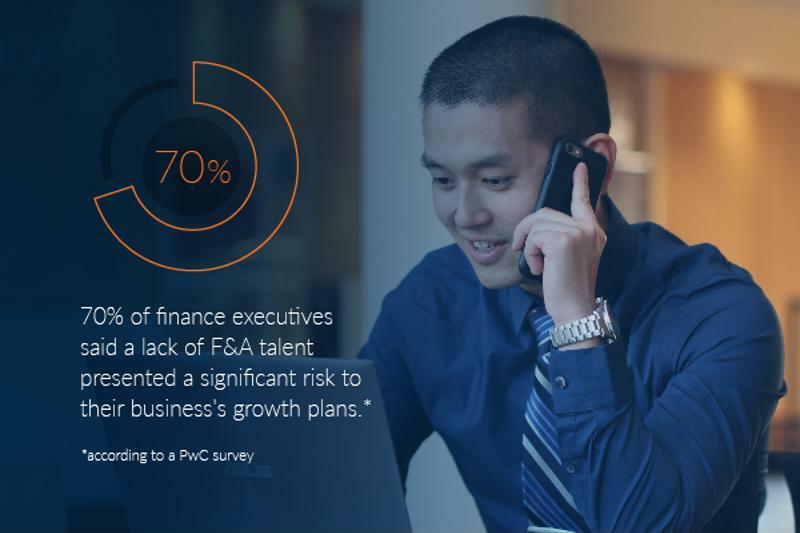 Seventy percent of finance executives, according to one PwC survey, said a lack of F&A talent presented a significant risk to their business's growth plans. Around the same time, another survey of CEOs conducted by KPMG found that perhaps one-third feel their CFOs aren't "up to the challenge" of solving these existential threats. Apparently, despite great strides forward in developing the CFO's missions and the advanced tools they use to achieve strategic goals, they still have plenty of ground to cover. To live up to new, expansive expectations, CFOs need to not only surround themselves with the right mix of F&A talent, but must also provide their teams with the best tech to support each other. The reasons behind the dearth of qualified F&A candidates, and the resulting low confidence CEOs have in their finance departments, are complex. According to Todd McElhatton, CFO of SAP North America, it might all boil down to the great strides made in financial analytics technology in recent years. While more powerful systems and software are always beneficial in general, they've proven to be a dual-edged sword. Now that CFOs and CEOs have access to reams of new data, they don't have the talent and personnel to understand it and execute on findings from that data. "Unfortunately for us, there just aren't that many behavioral scientists out there well-versed in finance, or vice versa," at least for now, McElhatton wrote. The problem could also be attributed to a lack of soft skills among finance teams. McElhatton cited one survey that identified qualities like leadership and strategic thinking as the hardest to find among current prospects in the finance world. After all, even the most seasoned and technically-skilled F&A teams won't be very effective if they can't communicate their findings, work collaboratively and delegate tasks appropriately. CFOs need to enable their F&A teams if they want to realize success in their new strategic role. Perhaps the recent tech improvements in finance departments have proven to be equal parts blessing and curse. But even if CFOs feel as though they are playing catch-up, they can still leverage new capabilities to rise above the transactional work many remain stuck underneath. With those easy targets for efficiency out of the way, finance chiefs will gain more time and resources to lead their teams through turbulent periods. The most obvious solution to ineffective, stagnant finance functions is automation. This is one example where businesses have seen huge benefits from new technology – if only they would move to adopt them. By automating as many transactional tasks as possible, CFOs and their F&A teams should be able to quickly refocus on more value-added tasks. Even the process around data analysis has been made easier by automation and new software. This should give CFOs more freedom to focus on forward-thinking strategy, the part of their job that has seen the most significant changes lately. With more resources to devote to the bigger picture surrounding F&A, CFOs should also have more time to prop up their staff. In a guide around hiring strategy for the New York Times, Adam Bryant noted that executives tend to lean too heavily on the following mantra: "Hire the best people and get out of their way." 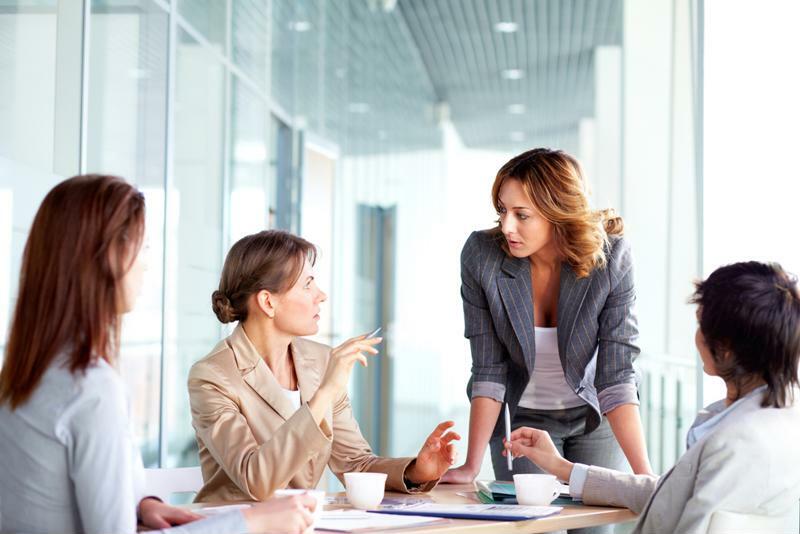 In fact, this strategy won't foster the cohesion needed to bring F&A teams out of a rut or realize their full potential in their organization. Instead, Bryant argued, CFOs need to lead with a clear vision and mission always in mind. They should also communicate that vision, and their plans for achieving specific objectives, with staff members regularly to ensure everyone stays on the same page. New financial tools have changed the ways CFOs and their F&A teams work, but maximizing the positive effects has been difficult in practice. By charting a path to success and staying the course, CFOs will see their vision actualized in no time.